Divorce has a way of exposing a person’s tendencies. Each spouse in a marriage has certain strengths and weaknesses that often result in the division of responsibilities within the relationship. When it relates to benign tasks, such as doing laundry and grocery shopping, whether the other spouse has any say or participates has no lasting effect. However, when one spouse is exclusively in charge of the couple’s finances, and the other spouse has little to no knowledge about the location of accounts or the types of property owned, this can present real problems in divorce. As part of the divorce process, Florida law requires both parties to file financial affidavits that list their income assets, debts and monthly expenses. In addition to this mandatory disclosure, each party is entitled to request further financial information from the other side during a process known as discovery. However, this information is only helpful if it is accurate, and if one spouse does not know the state of financial affairs as a married couple, knowing if everything was disclosed is extremely difficult. Leaving one spouse to hold all the financial cards in a relationship opens up the possibility he/she may attempt to conceal certain assets in order to exclude them from potential division with the other party. This is called fraud, and is illegal, but proving it is often extremely complex. 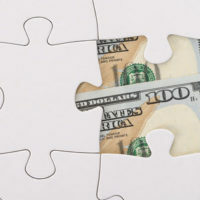 Usually, there are signs that a spouse is trying to hide assets, and if divorce is on the radar, the other spouse should be on the lookout for evidence of deception. large, repeated or unusual cash withdrawals. If a spouse suspects there may be concealment of assets going on and a divorce is pending or possible, this information should be brought to the attention of a divorce attorney, who will likely advise the spouse to hire a financial expert to trace the locations of all sources of income and investments. The more money a couple has, the easier it is to move funds around. Thus, in divorces where the monetary stakes are higher, financial experts are routinely used to verify the accuracy of financial disclosures. If evidence of tampering or concealment of marital assets is found, it could be considered dissipation of assets. Dissipation of assets occurs when a spouse intentionally uses marital funds for a separate non-marital purpose, such as supporting a gambling habit or having an affair. In these instances, a court can give the innocent spouse a larger share of the couple’s shared property in a divorce as a method of compensation. In fact, financial fraud in divorce is taken so seriously, there is no time limit on when a former spouse can reopen a divorce case to address this injustice. Dealing with the legal process of divorce can easily overwhelm someone unfamiliar with the law, and puts a party at risk of unknowingly relinquishing rights and remedies. Hiring an experienced divorce attorney can take away the guesswork, and put you in position to get the best possible outcome. The Tampa law firm of Bubley & Bubley, P.A. can help with all aspects of your divorce, and is available to evaluate the facts of your case. Contact us today for a free consultation.